Disclaimer: This title was reviewed on PC with a code provided to Gaming Instincts by Microsoft Studios. Zombie games have been a cornerstone for the video game market for a long time. Spanning from Resident Evil to Call of Duty, taking on the army of the dead has held a special place in gamers hearts. 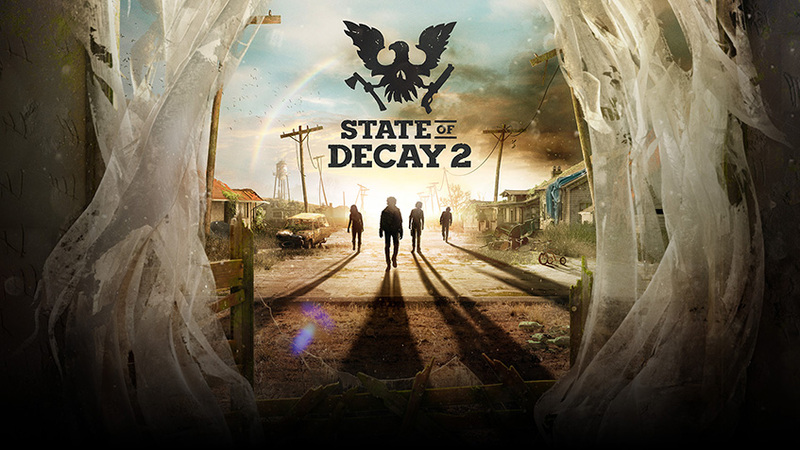 State of Decay 2, developed by Undead Labs and published by Microsoft Studios, is the latest addition to the zombie apocalypse. Taking place in a high desert environment, players must survive by building a community of survivors and scavenging for resources throughout the devastated towns all while fighting and avoiding the living dead. Communities live and die based on the decisions you make and who you recruit, and there is no avoiding the dangers of the world forever. Let’s take a close look at State of Decay 2. State of Decay 2 does not have a normal story mode. Instead of having a consistent throughline with its narrative, different communities that players start will have different experiences during their various playthroughs. The beginning seems to be the most similar through communities. Players will begin with their community they either started with by doing the tutorial or have randomly generated by skipping the tutorial and rolling three different survivors. The primary objective is to establish a permanent settlement for the community to begin, and then the world opens up from there. 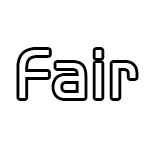 During the game, players will encounter radio signals from survivors needing help, discover crooked arms dealers who can turn hostile or friendly mechanics looking for help fixing their car. Most of these events seem to pop up during various playthroughs but as for when they do seems to be somewhat random. How players handle these various situations will affect how outside communities will react to you, whether it be friendly and sell items or immediately hostile and shoot on the spot. If a player chooses to kill everyone who causes trouble, it can impact the overall morale of the player’s community and do more harm internally than good. The dynamic way the story seems to shift around and affect the player differently adds a replayability factor to the game that stands out as a positive. 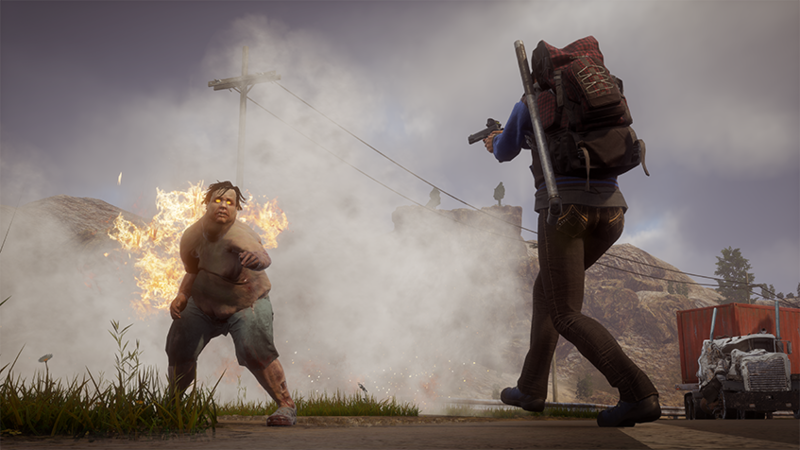 The basic gameplay of State of Decay 2 can be boiled down to two things: combat and scavenging. First, let’s take a look at combat. Fighting off the undead in this game is very satisfying. Players can have two melee weapons equipped, a primary and a backup, and one ranged weapon. While fighting through the horde, melee weapons really stand out. Each individual weapon feels different based on weather it is a blunt or bladed type and on how heavy or light it is. When swinging a knife or sword the movements are fast and they will dismember the target, where while wielding a pipe or a hammer swings are slower but have an impact that is palpable and can knock down zombies for easy finishing moves. There are many different melee weapons that players can find throughout the map giving players a whole arsenal to choose through to find the perfect fit. Ranged weapons are pretty straightforward, having variants from handguns to assault rifles. Ammo is few and far between, so saving up ammunition for when situations get heavy is a must. The best part about using firearms in State of Decay 2 is that while facing normal or plague zombie types headshots actually matter and will cause a one hit kill, something that seems to lack from other zombie games on the market. Both ranged and melee weapons will break after enough use, but if you don’t want to ditch your favorite weapon it can be repaired. Though fighting is fun, players will spend the majority of their time with the game scavenging for resources throughout the abandoned communities on the map. The mechanic is simple when the player enters an unexplored building a series of objectives will appear. The player must explore all the rooms in the house, clear out the remaining zombies and search through all the possible nodes to then be able to claim the area as an outpost. 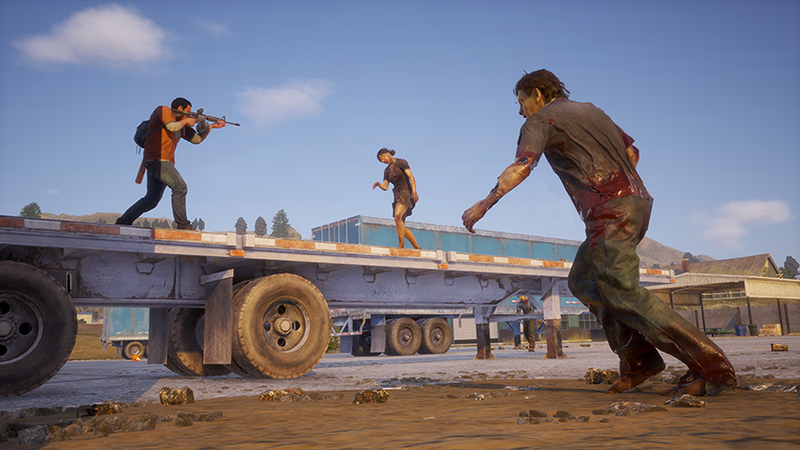 Players can choose whether to search a container slowly or quickly, but if choosing the quick option there is a chance that the character will make noise and zombies will be attracted to the area. It never seems to spawn more than one at a time when noise is made so it’s more of an annoyance than anything else. Once the items have been obtained from an area, players can store them in a storage locker that can be found at the main base or at any of the outposts players have created. With the limited carrying capacity that players have, choosing what to take and what to leave behind will be a decisions players will face often depending on how close the nearest storage locker is. Community resources can also be scavenged by finding rucksacks of materials and delivering them to the main base. Survivors can only carry one rucksack at a time, but if a vehicle is available players can store items and rucksacks in the trunk to carry long distances which is a very useful mechanic. Once players deliver the rucksacks, materials will be added to the community pool which can be used to craft items, build and upgrade facilities and help improve overall moral of the community when it is well stocked. State of Decay 2 has three different open world maps that players can explore and build a community with. Players have the option to change their map during their playthrough but doing so will abolish their current base and begin a new one. While the different layouts do provide a change of pace, the novelty wears off quickly. The objectives between maps don’t change from the collection or help missions and the zombie types and models remain the same. While having the option to change maps is a welcome one, there never seemed to be a reason to do so except for a slight change of landscape. The game does succeed in giving players a hopeless feeling within the maps. The various abandoned towns feel uninhabited and lonely and builds tension when occupied by an infestation or horde. 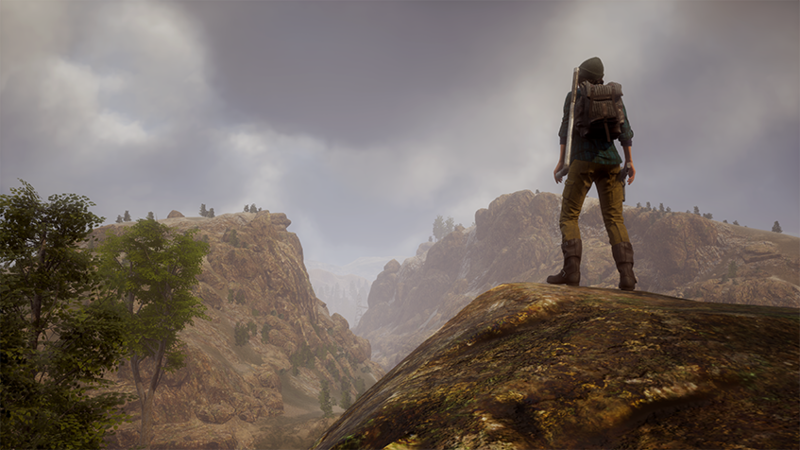 If the game had more diverse maps to play there would be a lot more incentive for exploring further, but as it stands there is not much to offer the player. The four-player co-op in this game both makes and breaks the game. 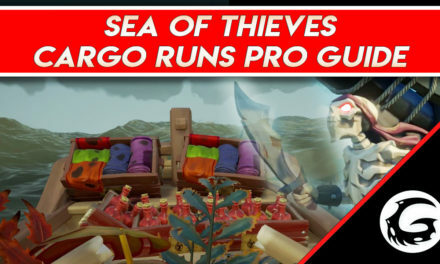 While playing solo, the repetition of the missions and objectives of the game do become tedious after a few hours of play. Having a friend or three to jump in and take on the end of the world with you is a great way to mix things up and refresh the game. While playing with others the tone shifts to a bit more daring approach to taking on hordes and plague hearts on the map. Dangerous situations are much less stressful when not having to rely on an AI follower that may or may not be with you depending on if they got stuck on a rock or not. The impact of decisions made within the community became more of a debate on how to take on possible hostile survivors and there was less of a concern for exploring further away from the home base or closest outpost. However, while playing with a friend did add to the fun, the bugs that were encountered during multiplayer were pretty serious. During the first two multiplayer sessions I had, the storage locker for the base and outposts completely disappeared for my friend. This became increasingly more frustrating as we attempted to do multiple missions and they could no longer loot anything in the area around because there was no place to store their extra materials. It felt like they were no longer participating in the experience and just along for zombie control while I completed objectives and searched buildings. We also experienced an issue where they could not turn in rucksacks to the storage area in the base and had to drop them for me to pick up to turn in. My friend, who was playing on the Xbox One X, also had major connectivity and framerate issues while in multiplayer. When I joined his game, we had a different set of issues to deal with. All of the additions to his base had disappeared for me and all I saw were blank spaces on the plots where things should be built. About an hour into the game, I was booted from his game and then was no longer able to join back in or receive invites to play, so we ended up going back to my community instead just to play more. These were some major gamebreaking issues that really impacted our ability to play together and we found ourselves getting worn out and calling it quits. Hopefully these issues will be dealt with in the future because the game really shines as a multiplayer experience when it works properly. While this game isn’t exactly made with visuals as the primary draw, it’s hard to see this game as a current generation title. The textures of the environments are not very appealing to look at and the various shades of brown that make up the maps are flat. Even playing on high settings on PC there was not a noticeable improvement from medium settings. All the animations for the characters and zombies look very natural, but the models are not very detailed. The rundown buildings have the end of the world look and feeling that is expected but the distances between towns don’t have anything unique to offer visually. After a while of playing, everything just starts to look and feel the same which can start to take the player out of the game completely and add to the tedious feeling of the objective repetition. State of Decay 2 does one thing right that not many games manage to do these days. It is unapologetically itself. It does not make outlandish promises of game-changing mechanics or try to sell you false pretenses of grandeur. In the oversaturated and competitive market that we see today, there is a lot to respect from a game that does exactly what it sets out to do: create a community building zombie apocalypse game. That being said, the repetitive gameplay really begins to drag on a few hours into playing and does not surprise the player the further into the game you get. 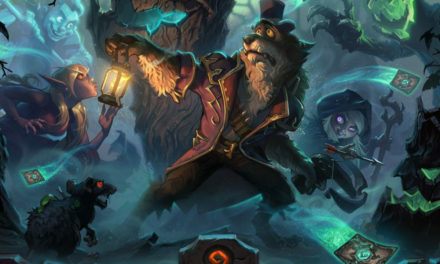 While the game is better being played with friends, the number of bugs that occur from connection issues to necessary mechanics being completely missing can bring the game to a sudden stop and needs to be addressed as soon as possible. If the concept of the game seems like your speed, it is only $29.99 for the standard edition which is a very reasonable price point for the finished product. Hopefully, the game will add more diversity in the future to help retain players who are not within the niche. Luke Kenney - Video Producer and Associate Author Hailing from a Colorado town of 900 people, Luke was a small town kid with big dreams. When he was 4, he played his first video game; Doom 93’, and he was hooked from that point on. After setting out on his adventures from home, Luke worked in the radio industry as an engineer and producer for 7 years, and worked on the tour circuit for some of the biggest bands touring today. His true passion, however, always lead him back to video production and the gaming industry. 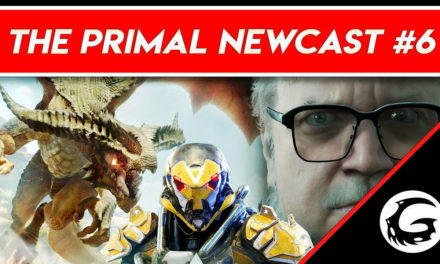 Now, this avid Monster Hunter enthusiast has one motto, “The bigger they are, the harder they fall”.